Start broadcasting live in seconds! 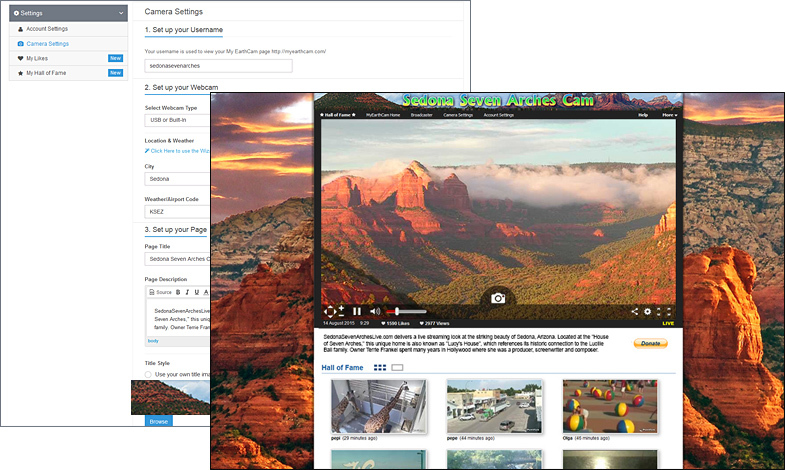 Once you register and activate your free EarthCam account, use the broadcast viewer to manage your webcam. From there you can tweak the settings, select the screen size and choose the video quality. Have questions? Refer to the broadcaster quick guide. Draw viewers to your page with a unique title, detailed description and eye-catching background image. 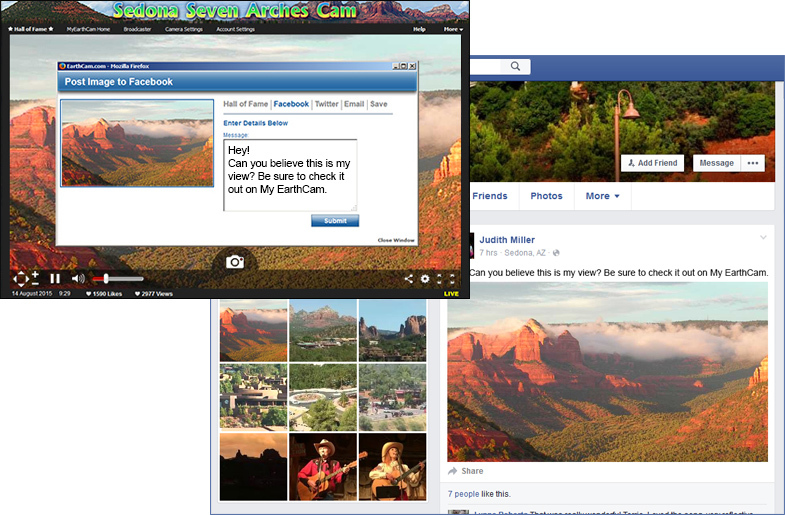 You can also create a "Hall of Fame" with your favorite images and share those snapshots with the My EarthCam community. If your webcam is connected to a cause, be sure to include a “Donate” button to start fundraising. Promote your view to a worldwide audience with My EarthCam. Take photos with your webcam, post them to your Hall of Fame and instantly share with friends via Facebook, Twitter or email.